A good diet contributes to disease prevention. One way to ensure that you are getting your Daily Values for B-Vitamins is to take dietary supplements Vitamin B-6 plays a role in protein and energy metabolism and assists in the metabolism of homocysteine, an amino acid. 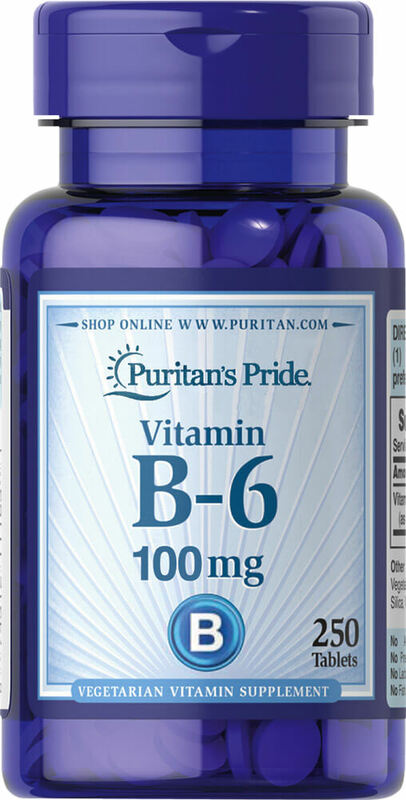 ** Vitamin B-6 is also part of a triad of vitamins — along with Folic Acid and Vitamin B-12 — that support heart health. ** Adults can take one tablet daily.